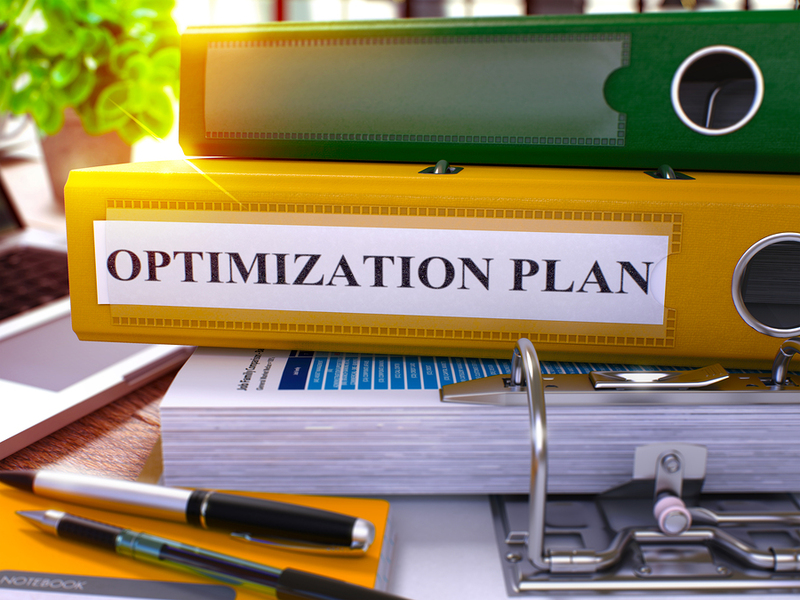 Gallup conducted a study on workforce optimization. They looked at the ways businesses can optimize workforce productivity. The study determined that high-performing employees shared three specific traits. Employees who combine these three traits are usually the most high-performing employees. It is in your company’s best interest to foster employees with these traits to optimize your workforce. Gallup discovered that in the companies they studied, only 5 percent of the employees were working in this optimized capacity. If your company has 100 employees, that’s only five of them. If your company has 10 employees, that’s less than 1. Even worse, if you’re the owner of that company it’s most likely you. That leaves a lot of room for improvement, and a potential windfall for whoever can crack the code. This is a competitive secret that could springboard you beyond your competition. And at very little expense. The riddle to solve is how to optimize the rest of your company so that everyone is operating at peak performance. Fortunately, there are some answers. Let’s look at a few ways you can optimize your human capital to get the most performance out of your employees. As we have established, businesses aren’t making much progress with workforce optimization. The key problem is that managers don’t know what that means, and even when they do, they don’t know how to fix it. Gallup has done a lot of the groundwork for us in their study. They identified the three traits managers need to foster for ultimate workforce optimization. Now we know what needs to be done, all we have to do is figure out… how. Gallup says workforce optimization comes from employees whose talents match their job role. This declaration gives us a few clues about how to proceed. For starters, we need to establish clear job roles. If you haven’t done this in your business, it’s a clear starting point. For most managers, job roles are a description of work we create for recruiting and then store away. This is only the beginning. Your workforce management system should have job roles built in to help you manage employees. With well-written job roles at your fingertips, you can begin to match employees to their jobs. As you perform quarterly reviews with these employees, make adjustments. You will discover where your employees fit, and what roles are more productive. Job roles help you determine which employees fit management roles and who is more efficient in production. Without them, you have no way to measure the nuance of employee development. Make sure your workforce management solution provides a method for creating, storing and assigning job roles. Use them. Refer to them often in your quarterly reviews. Make changes to the job roles as you refine job requirements. Use them to identify areas where employees can focus on career development. Job roles will help you develop your employee. Employees will help you refine job roles. As the two begin to gel together, you have created an opportunity for the employee to leverage talent. Now you’re cooking with fire, and have taken a giant leap toward workforce optimization. Recall that according to Gallup, workforce optimization occurs when employees are in roles where the expectations of the job align with their talent. In this case, you can consider talent to be a combination of experience, goals, and interests. Job roles and quarterly reviews are the recipe for leveraging talent. Workforce management software from SwipeClock includes job role management. Managers can assign job roles to employees and track quarterly review goals and progress. Exactly what you need to build workforce optimization in your company. Gallup suggests that optimized tenure is around the 10-year mark. In today’s mobile workforce, ten years can be an eternity. The question here is how to create an atmosphere that builds on retention. The more employees you can retain for longer, the closer you get to workforce optimization. Employee retention is a broad formula that includes compensation, environment, and personality. There are many cogs, and not everyone will fit when it needs to. Regardless, there are steps you can take to make your business a place to stay for longer. To manage those steps, you should be using an automated workforce management app. There’s a lot of work to be done to get this right, and you may as well have a little help. When it comes to generating a retention-building business environment order and process are key. Workforce management software is your solution. In particular, you need a workforce management solution that incorporates Employee Self-Service (ESS). ESS combined with automated management tools can help you keep your employees happy. It can also help you avoid the kind of pitfalls that cause employees to consider other options. Employee Self-Service will give your employees empowerment. Empowerment is one of the key aspects of workforce satisfaction. ESS allows employees at every level to access their own personnel files. With ESS, employees can access their payroll history, W-2 information, and work history. They also have the ability to manage their own schedule including shift swapping and time off requests. Employees who feel empowered are more likely to stay in a job because they feel like they are in control. ESS is a big time-saver when it comes to your company’s HR requirements, too. Much of what ESS can offer your employees will save you in tens of hours of management time. That time can be used to focus on other areas of workforce optimization. All of this leads toward establishing a more engaging work environment for your employees. Gallup research indicates that employees who are more engaged are more likely to stay with the company. They are also more likely to be your most productive performers. Like building tenure, engagement can be a complex system of options. The key, again, is in having a workforce management system that can help you manage the options. Workforce management includes interaction and engagement with your employees. A good workforce management system will include document management, goal and objectives management, and progress tracking. SwipeClock offers all of these and more in their workforce management suite. Document management helps you communicate with employees and engage them in company documentation. This allows you to provide library resources online such as employee handbooks. You can track employee progress through documents and offer rewards based on progress. Document management also allows you to measure employee progress through training or certification. This level of engagement helps generate a tenure-building relationship with your employee. Studies show that when employees are engaged with employer-provided learning, their relationship with the company is stronger. The Gallup research is no exception; this kind of engagement is critical to workforce optimization. Your workforce management app should also be tracking employee goals and personal progress. Quarterly reviews are important, as we have discussed, but you won’t get the full value if you aren’t tracking the results. Track quarterly reviews in your workforce management app. Review them with employees and encourage them to participate in setting new goals each quarter. Repeat. Again, a workforce management app will help you bring order and process to your employee management. This, in turn, will help you create an environment that fosters Gallup’s three important attributes. When you can establish those attributes among more than five percent of your workforce, your business will stand above the competition. If you aren’t using a workforce management app yet, ask for a demo soon; you’re missing an amazing opportunity to outperform your competition.